AMERICAN FLYER LINES Cardboard Backing Sign. Mint Condition. - $7.50 : Olson Hobbies, Welcome To The Train Page! AMERICAN FLYER LINES Cardboard Backing Sign. 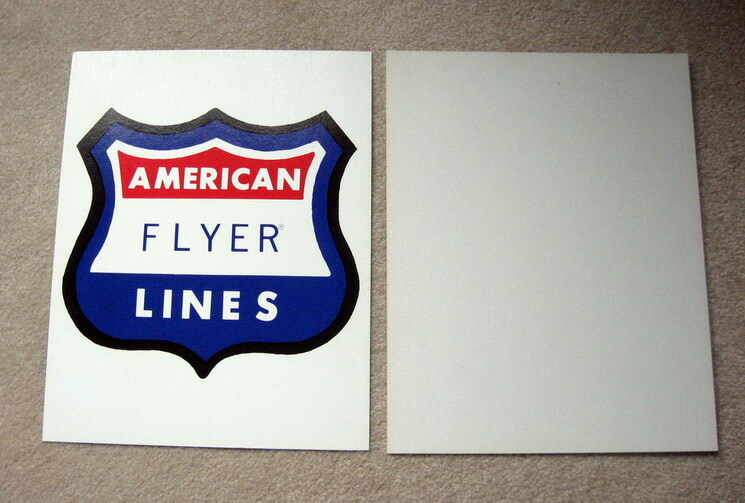 AMERICAN FLYER LINES Collector Cardboard Backing Sign. 11" X 14" X 1/16" thickness. Comes with red, blue and black silk screen. Item looks nice in a window or framed. This is a licensed reproduction.